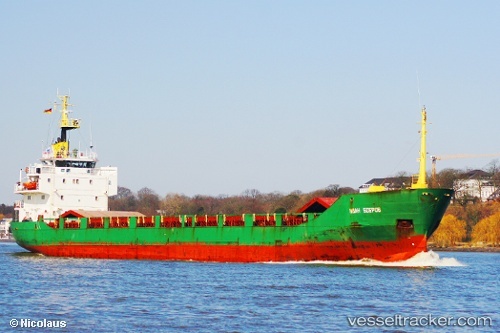 The "Abo Alyssa", being en route from Port Said West to Thessaloniki, sailing in ballast, suffered a technical failure off Bodrum on Feb 17, 2019. Repairs wre being carried out by the crew, while the vessel remained stationary at the Bodrum anchorage. On Feb 20 it arrived in Nemrut Bay. Alexander Matvienko, the former master of the "Ivan Bobrov" who had been arrested in Denmark for higher alcohol concentration in blood, was deported to Russia after the Russian ship’s owner employs agent settled the matter in Denmark. On Feb 4, 2016, Matvienko had arrived at Russia and was currently in Moscow. The company has not decided yet whether to call Matvienko to disciplinary liability. The decision will be made after the general director has met him. The mate and the ship’s engineer, which had also been arrested, were already deported to Russia on Jan 21. The new staff had arrived on Jan 7. The ship sailed away from Denmark on Jan 9 and continued the halted voyage to Riga, arriving there on Jan 28.